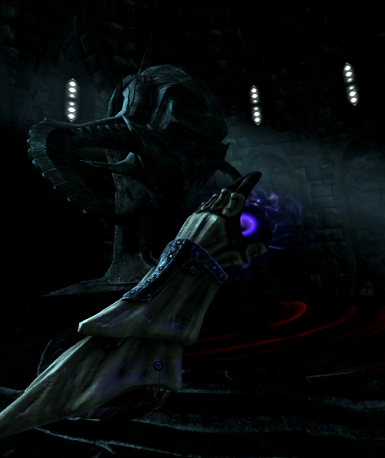 Adds the Vanilla and DLC Gauntlets as replacements for the VR hands. I made this for myself to let me quickly switch between the different hand models. Includes the Vanilla and DLC gauntlets, let me know if you'd like me to add something. Right now, this uses an installer to switch the hands, which is easy to use with MO2 or NMM; I might make this happen in game later on, but I'm hopeful that Bethesda will update the game and make this mod unnecessary. All of the meshes are straight copies from the vanilla BSAs, so some of the gauntlets look pretty great, like the Dragonbone, and others look not so great, like the Dwarven, which gets cut off at the wrist. I don't know how to fix the ugly ones, so if you ask me too, please link me to a guide on how to do that, and I probably will. Install with a mod manager, choose your hands with the installer. If you don't want to use a mod manager, the just copy one of the mesh folders to your data directory. To change your hands you need to reinstall and choose different hands. I've only tested the ones I've played with, so let me know in the bugs or comments sections if I labeled one of the meshes wrong. Also note that when changing meshes mid game, some games will crash; I think this is due to a conflict between the value in memory (RAM) and the value on disk, starting the game back up should resolve the issue; no need for a new save or anything like that.